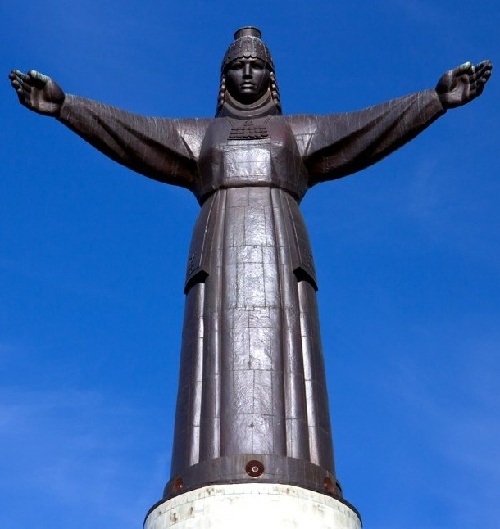 The inscription on the monument says – shake my hand – and you will find a true friend. Rub my cheek – you will find love. And if you leave the coin – you’ll become rich. 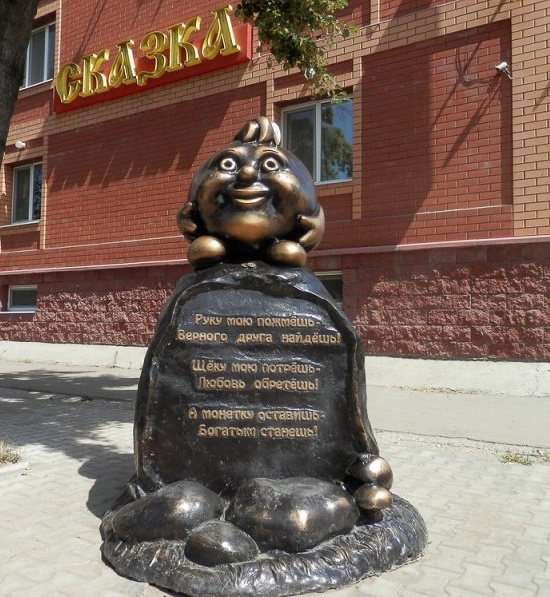 Kolobok is a funny character of the Russian folk tale of the same name. Represented in the form of a small wheat bread in a spherical shape, the kolobok escaped from his grandmother and grandfather. So, during the holy journey, he manages to escape from different animals (a hare, a wolf and a bear). However, no matter how lucky the kolobok was, the cunning fox ate it. Meanwhile, a fairy tale about Kolobok found in Russian and Ukrainian folklore, also has analogues in the tales of many other peoples. In particular, its equivalents are the American “gingerbread man”, and the English “Johnny-donut”. Also, Scandinavian, German, Uzbek, Tatar and other fairy tales have a similar plot. Russian folk tale “Ivan Tsarevich and the Gray Wolf” – loved by both children and adults. The main heroes of the fairy tale – Ivan Tsarevich – the youngest son of King Berendey, who went in search of the mysterious Firebird for King Berendey. And of course, the Gray Wolf – Ivan’s faithful friend and assistant in his quest to obtain the Firebird for the King. The most important thing is that the wolf protects him from all the dangers that meet him on his way. Meanwhile, children get acquainted with this fairy tale by both – reading the book (in the version of AN Tolstoy), and watching cartoons. In addition, there are films based on this story. 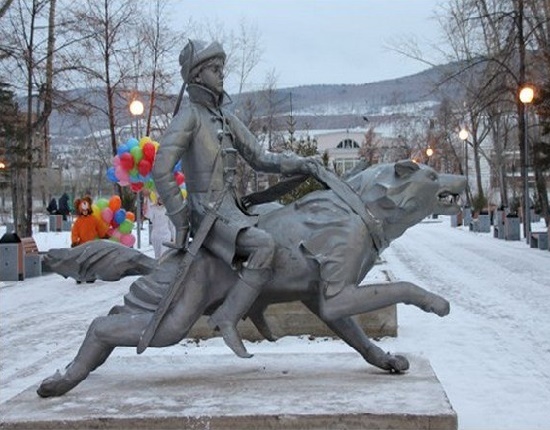 The heroes of this fairy tale, embodied in monuments and sculptural compositions, decorate the parks and streets of Russia and Ukraine. In the depths of the forest, behind the sanatorium “Prilesye”, that is in Togliatti there is a pagan temple. It is here the amazing sculptures of Slavic idols decorate the forest. 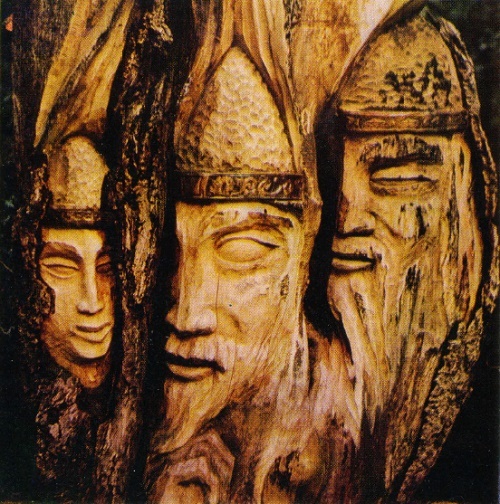 Their author – Evgeny, a 70-year-old woodcarver. According to the reviews of those who met and talked with him, Evgeny is friendly and quite cheerful. He works at the behest of the soul, as the Master should. He is constantly in the open air, and lives in a tent in this forest. Unfortunately, vandals spoil and even burn his sculptures from time to time. “They destroy and burn, and I’m building again,” he said with a smile. The scale of his work, of course, is impressive. This is a titanic, uninterrupted work. 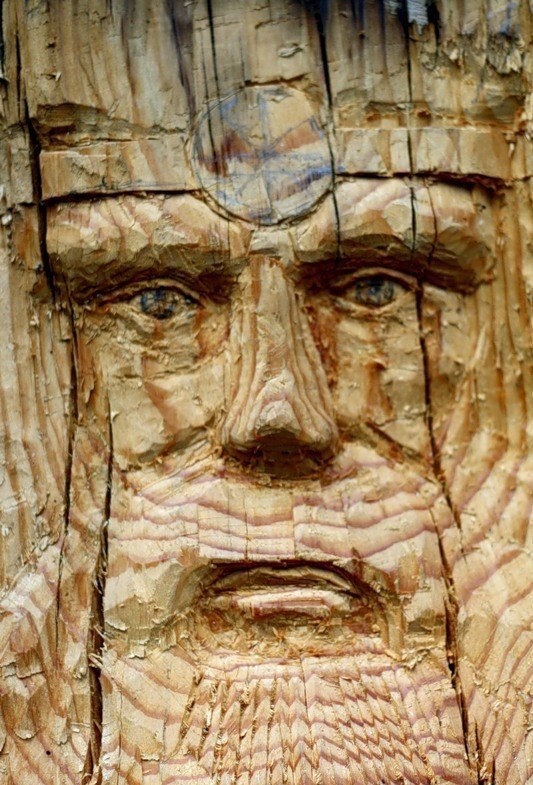 Many dozens of pine trunks processed over the years can impress anyone. In search of deadly trees Evgeny passes many kilometers away from his tent. To deliver the trunk to the right place, he sometimes has to spend up to 4-6 hours a day. Chisel, ax, chainsaw – these are the main tools for the master. Meanwhile, in addition to carving wood, he also engages in healing. People who wish to get rid of infertility, from male impotence, and from other ailments visit him. 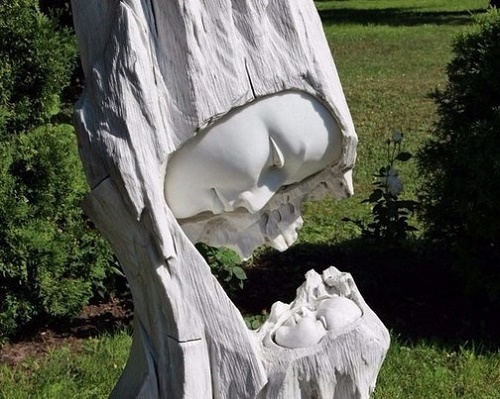 The unique sculpture made of wood decorates the park-museum “The Governor’s Garden” in Yaroslavl. Meanwhile, the sculpture has a great meaning. Children are our roots, what remains on earth when parents go to heaven. No doubt, Mom is the most loving and devoted person in the world. She is sincerely happy for our successes, supports us in failures and worries for every step we take in life. We owe her our life, we share with her joys, anxieties and the most secret desires. Undoubtedly, Moms are the people who deserve monuments. So, let’s have a look at the small part of stunning sculptures dedicated to moms, which mostly appeared in Russia for the last decade. “Glade of Fairy Tales” – a unique children’s museum of sculptures on a fairy-tale theme in the open air. Located in one of the most beautiful corners of the Southern coast of Crimea, in the picturesque surroundings of Yalta near the Wuchang-Su waterfall. 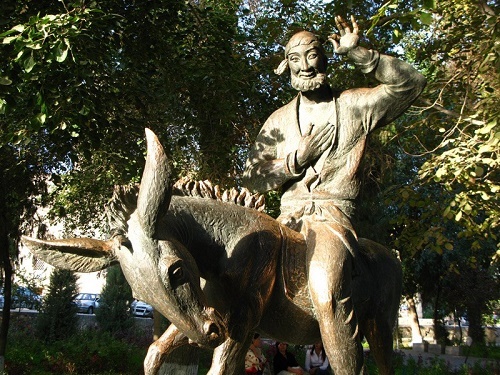 Initially, it was folk master Pavel Bezrukov, who chose the forest at the foot of the quaint rock of Stavri-Kaya and founded a sculptural park in 1960. Today the exposition of the museum consists of more than 300 sculptures. On them worked by folk craftsmen and professional artists not only from Yalta, but also other cities of Crimea, Moscow, Pervouralsk, Yerevan, Vilnius, and others. In the hands of talented craftsmen a simple tree, ordinary clay, cold metal and concrete turned into characters of fairy tales, epics, legends and myths.